Philosophy pioneered the first medical microdermabrasion machine that rapidly exfoliated as it delivered vitamin C deep into the skin. 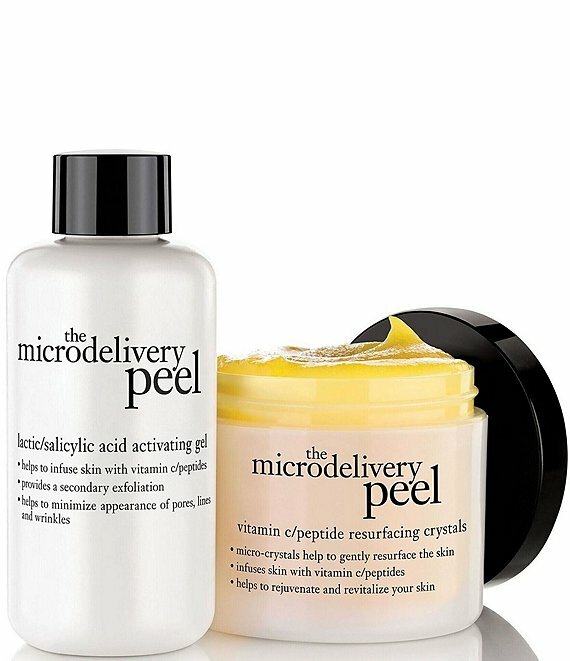 The treatment is known as the microdelivery peel and is popular among plastic surgeons and their patients. This less-expensive, less-invasive, at-home version of the microdelivery peel provides immediate results with no downtime. It resurfaces and replenishes the skin with peptides and vitamin C so skin feels significantly smoother and appears positively radiant.